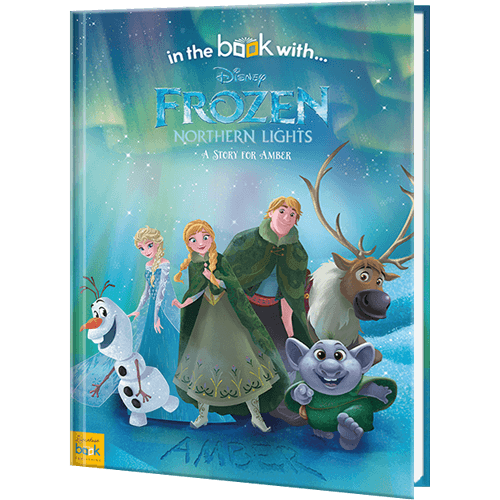 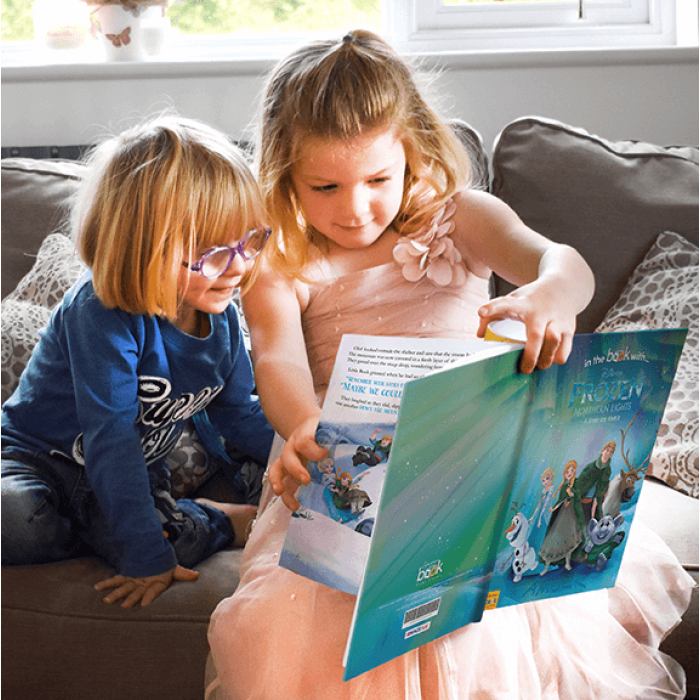 If the powerful lyrics of “Let It Go” resonate with your Disney soul, then you’ll adore our Frozen Northern Lights Personalized Book. 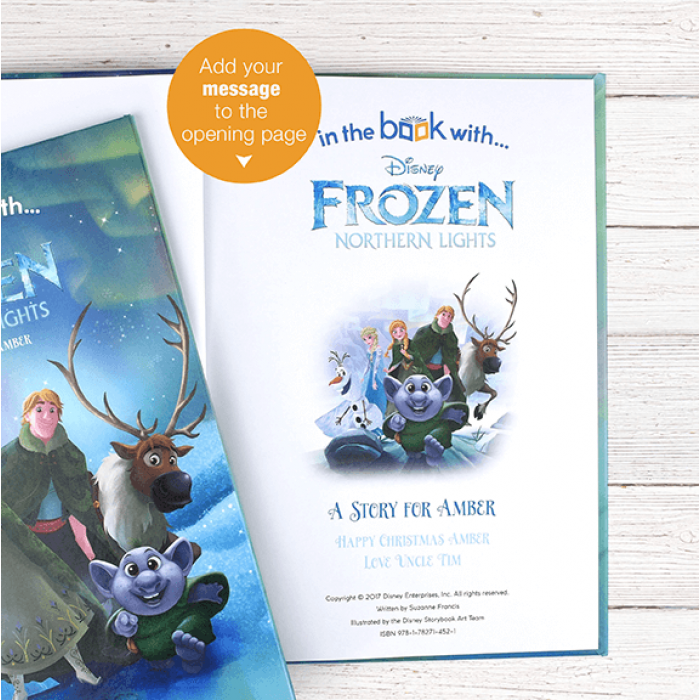 Elsa, Anna, Kristoff, Sven and Olaf take you on a frosty journey to experience the magic of the Northern Lights – you’ll be in for an icy adventure of a lifetime! 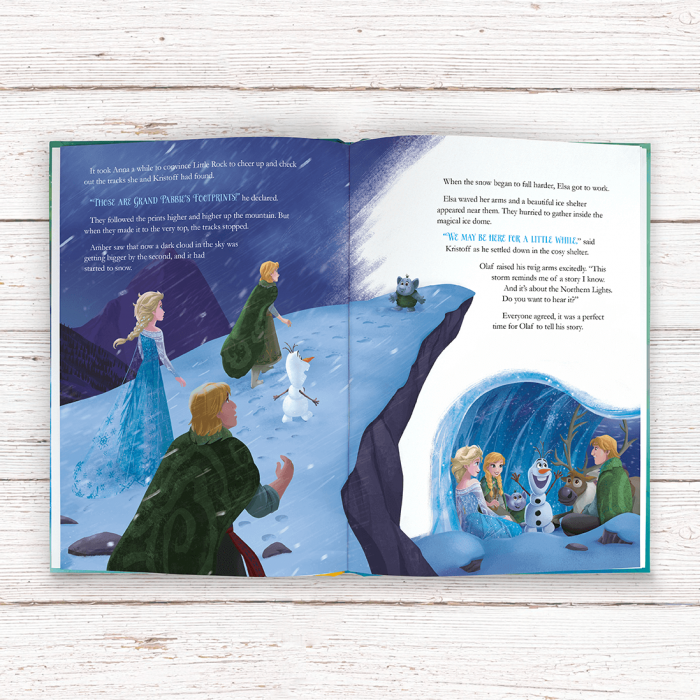 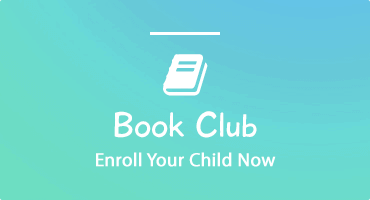 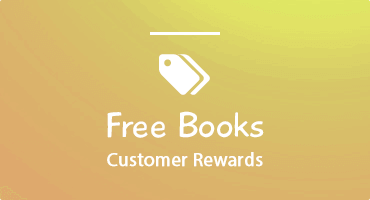 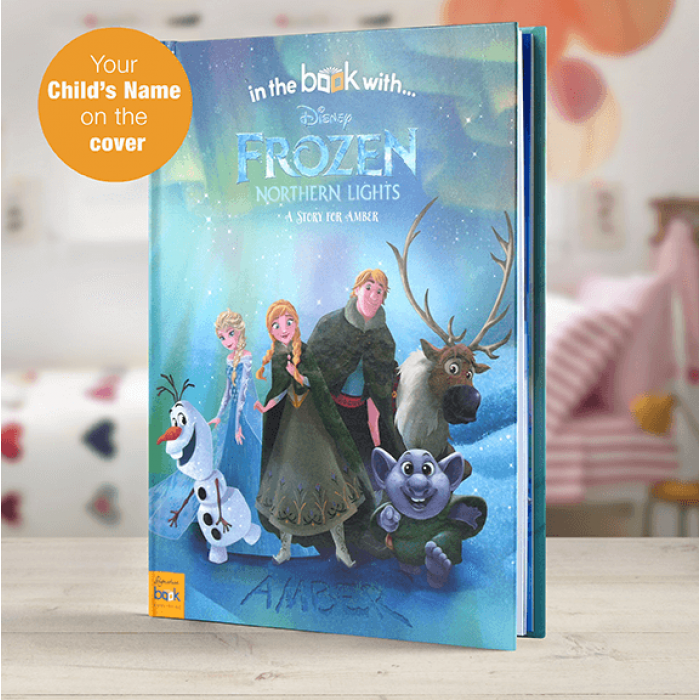 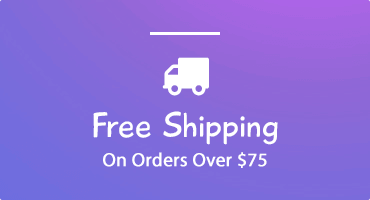 Written into the entire story, your child gets to star in this Frozen adventure alongside their favorite characters.